Praying lays us bare. It strips us naked. 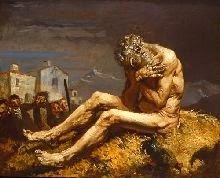 When we pray we are exposed as vulnerable creatures before God and before the other people with whom we are praying. If our prayer is a prayer of worship and adoration (e.g. “God, you are truly great!”), then we are exposed as small before his greatness and strength. If our prayer is a request, our weakness is on display. Regardless of what kind of prayer we offer, we always pray as small creatures. When we pray, we are all made children again. And that is why prayer can be so scary. Today we often idealize childhood, but the reality is that childhood is a precarious stage of life. Children are, after all, relatively powerless and weak. Don’t believe me? Imagine leaving some small children alone in your kitchen for a few hours; they would quickly get themselves in a (potentially life-threatening) situation beyond their control. In other parts of the world, where safety from diseases and wild animals cannot be attained, childhood is indeed a struggle for survival. We often forget just how vulnerable children are… until we are asked to be like them. Jesus said: "“Truly, I say to you, unless you turn and become like children, you will never enter the kingdom of heaven. Whoever humbles himself like a child is the greatest in the kingdom of heaven" (Matthew 18:3–4). Recognizing our need of God, like a child needs his parent, is a base requirement for being a Christian. It is often this aspect of faith that keeps many grown men and women from knowing God. We are too scared to admit we are that vulnerable. Praying is a continuation of the first act of faith in God required of us for salvation. At conversion we believe and trust in Jesus, forsaking any hope of being able to save ourselves or rule ourselves or defend ourselves. And prayer, whatever else it might be, is at least an acknowledgment before God and before ourselves of this kind of neediness. It is this acknowledgment of need (and the hope of Parental help) that defines child-like faith. Child-like faith is NOT faith outside of reason...quite the opposite. It is a profound and practical wisdom to see ourselves as we actually are (as children in need), and to see God as He truly is: the strong and loving Father who readily offers help. To see things this way is to have made a reckoning with reality. Child-like faith is, in fact, quite reasonable and practical. It is when a child accurately assesses his dangerous situation that his cry for help makes the most sense. It is complete irrationality when a child doesn’t ask for help in the face of danger beyond their power. This kind of child-like faith is at the heart of prayer. And that is why it takes courage for us “adults” to pray, especially with other “adults.” When we pray aloud with others, our childishness is exposed. We are shown to be needy people who, like children, can barely articulate our need. In honest prayer times, we often stumble over our words like children… only able to blurt out: “God, help me” or some other simple phrase. When we pray honestly, our neediness can’t help but be revealed… it is too vast to hide. I don’t know about you, but that makes me uncomfortable. I don’t want others to see me as weak…. but I am weak. And so are you. But Jesus tells us that walking the path to greatness in his Kingdom requires full embrace of our weakness. "Whoever humbles himself like a child is the greatest in the kingdom of heaven” (Matthew 13:4). This is one reason why learning to pray, and learning to pray with others, is so important. It is an exercise in child-likeness. We cannot truly pray and remain strong in our own strength. Very often Christians pray with others. There are many reasons we do this. One reason is that act of praying with another member of the Body of Christ often enhances our sense of the Presence of Christ. If you’ve never prayed aloud with other Christians, I recommend that the first person you pray aloud with be someone you know loves you, and that you know will not laugh at you. Perhaps that is your spouse, a sibling, your pastor or priest, or a close friend. Perhaps your small group at Church would be a good place to start. If you’ve never prayed with your spouse before, I highly recommend you start there. It may be awkward at first, but consider all the other awkward moments you’ve been through and will go through? (e.g. medical moments) What’s one more? What starts as a clunky enterprise can end up becoming a truly life-giving and God-honoring act. The rewards of praying with brothers and sisters in Christ far outweighs the risk. 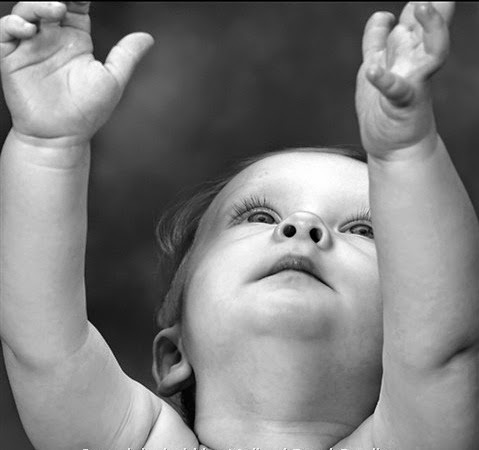 Be assured of this: God will not reject you if you pray with this child-like faith. You may not receive all you ask for, just as our children do not. But you can count on some blessing, some reward before your heavenly Father (Matthew 6:1-21). To be rewarded by him, to be great in his kingdom, is to have a treasure beyond our imagining. But this treasure comes to those who humble themselves in prayer. Next week.... "Praying is easy."